Peter Bushby started in real estate back in 1973 as cadet salesman with the family real estate business, Bushby & Co. (Now the Bushby Property Group). He commenced his current Real Estate Agency practice, Peter Bushby Real Estate in 1997 focusing on Launceston’s southern suburbs and this has expanded to covering the greater Launceston area. Whilst he still specialises in the Norwood area where his business was originally based he has moved his office to a convenient central city location at 10 Cameron Street. Peter and his business associate Kevin House offer a personalised service and as an integral part of the operational philosophy they only handle a manageable number of properties at one time to ensure that the appropriate level of activity is directed to each property listed in their care. This business plan has proven a highly successful package with excellent sales results since 1997! With the rapid advances in technology it was possible for many years for Peter to base his office at his home yet offer an effective, quality service to the public. This service continues today from his central city office. He & Kevin have a number of visual local property display boards located at the Norwood Post office, Westpac – Kings Meadows, S’Presso 101 Café at Summerhill and Old Brisbane Arcade that work well as our modern day shop fronts. Peter has had a long involvement as a Director of the Real Estate Institute of Tasmania and was State President for three years (2007-2010) and served on the national body, the Real Estate Institute of Australia for five years (2011 to 2015) with two of these years in the significant role as the REIA National President (2013-14). In 2010 he was made a Fellow of the Real Estate Institute of Australia and is one of only three Tasmanians to hold a REIA Certificate in Commercial & Industrial Practice. When Roger Bell retired in late 2011 Peter was joined by Kevin House who has a wealth of real estate sales and management experience spanning from the early 1990’s to today. 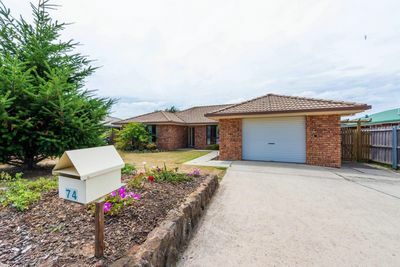 He has held a variety of significant roles including many years with one of Tasmania’s largest statewide real estate agencies including being their State Sales Manager and State Training Manager. He is a highly skilled and experienced auctioneer and continues as an industry trainer providing his expertise and services to the REIT training department. Kevin has also served on the board of the Real Estate Institute of Tasmania. Kevin also lists and sells properties accross the greater Launceston area and would welcome the opportunity to assist you with the sale or purchase of property in and around Launceston. Peter’s vision for his business has proven very successful with outstanding sales results year after year! He remains convinced that not everyone wants to deal with the large offices and his commitment to the latest technology ensures the business is competitive with them. Large data base – As we specialise in sales only we consistently have a large data base of buyers waiting to purchase a property in the greater Launceston area. Personalised local service where the owner of the agency and or his experienced colleague Kevin House handles the property on your behalf. 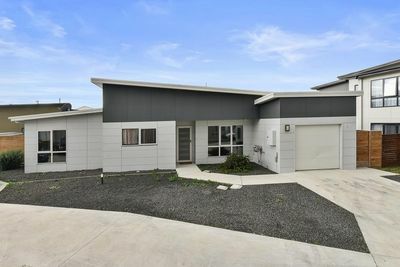 They are close at hand and confident that they can offer a personalised and experienced service to rival the bigger real estate operations here in Launceston. People with many years industry experience (as both salesperson and in management) handles your property! You deal with a locals who knows and care about Launceston and its’ environs – We have lived in the region all our lives and for many years handled all categories of properties including residential, rural, commercial, and a specialty has been land sales. Peter has sold many prestigious developments including Boiton Hill at Norwood, the Holyman Heights Subdivision at Prospect, Hampstead Close at Prospect, the Richings Estate at Youngtown, the Alanvale Subdivision at Newnham and currently the Gilmont Estate at Kings Meadows. Access to the latest technology – We offer internet and digital marketing and can market your property with these mediums and the office is set up using the latest business equipment to ensure that this side of the business runs efficiently. Competitive sale costs – With lower overheads we are able to pass these savings on to our clients. Carefully considered advertising programs – Too often your money is wasted on wrong or poor advertising choices. We are happy to chat about the many options available to you when you are ready. Convenient as required seven day service from a locally based business, where you deal with the operators. Proven record – Consistently selling properties – Peter Bushby’s personal record over more than 40 years is that of strong sales outcomes year after year – Kevin House can sell property too! Peter Bushby Real Estate has now sold well in excess of a 1,500 properties since mid 1997!